Traditional baby clothes. Cute traditional outfits for babies in sizes from premature to 3 months. Pretty dresses for baby girls and suits for baby boys. 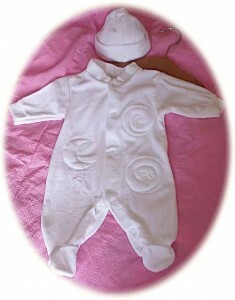 Traditional baby clothes from the Coco Collection. Cute traditional outfits for babies in sizes from premature to 3 months. Pretty dresses for baby girls and suits for baby boys.